Refers to the ISO rating of the film. Film speed relates to light sensitivity. The higher the ISO, the more sensitive the film is to light. 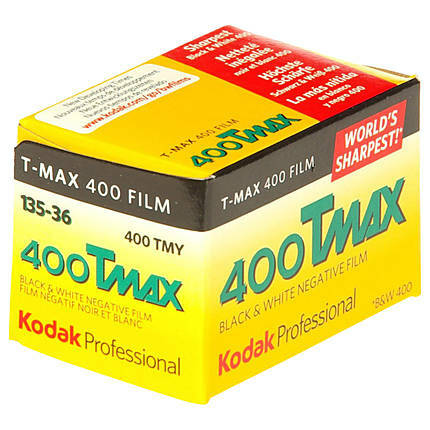 The Kodak TMY 135-36 Film Pack contains 5 rolls of an ASA400 black and white film. Designed for 35mm SLR cameras, the film's unique T-GRAIN emulsion offers fine grain structure along with image sharpness and edge detail. The nominal sensitivity of ISO 400/27° allows you to use the film for a variety of photography applications. With the wide exposure latitude, the film can be rated using EI 1600 and can be used for the push developing process. The smooth grain pattern as well as the wide tonal range and high resolving power allow scanning and enlarging of negatives. Each roll in the pack includes up to 36 exposures. Rated 4.6 out of 5 stars.